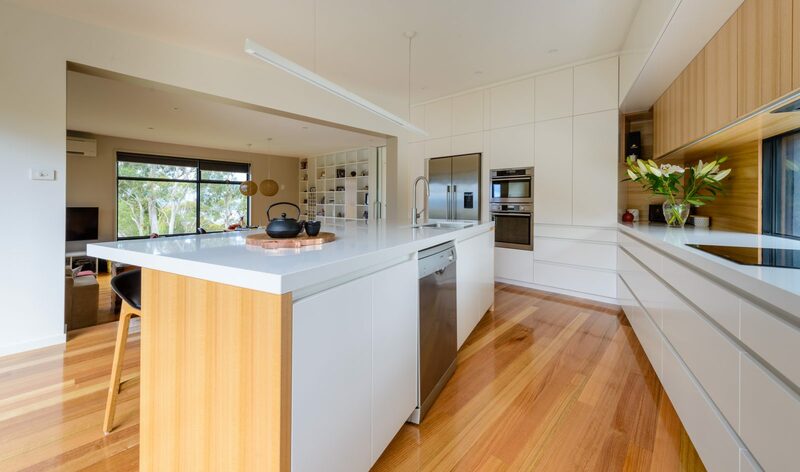 This layout and finishes of this refined and inviting kitchen were designed by the clients’ architect. However, the joinery process was highly complex due to angles in the ceiling that sloped in multiple directions and a 105 degree corner. To achieve the design of overheads extending to the ceiling, the overhead cabinets were installed prior to being painted, so that the door and end panels could be scribed to fit the changing ceiling angles. The door and end panels were then removed and completed off site. 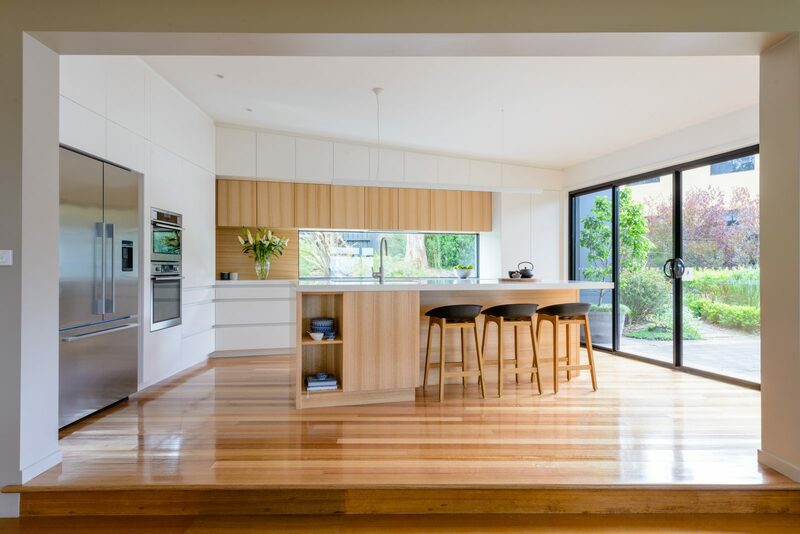 Whilst it would have been simpler to change the design so that the cabinets didn’t extend to the ceiling, this project demonstrates the extra lengths KAM Joinery will take to the meet the brief and achieve the desired look, thereby providing truly customised joinery that provides a high-end outcome. 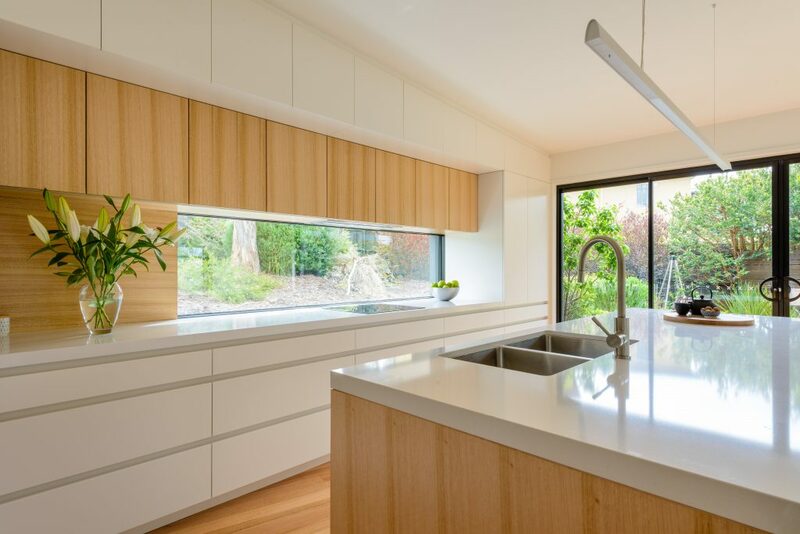 In addition, further complexities occurred where the bench top and overhead cabinets were fitted to meet the window and end panels weren’t used for the tall cupboards on either end of the bench, providing a more exact finish to the cabinetry. To maintain the clean look across the cabinetry, shadow lines were continued on tall cabinets. 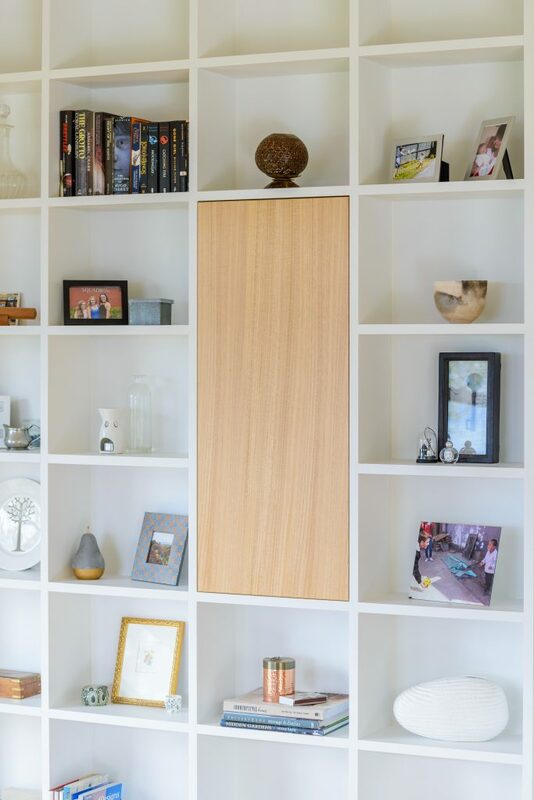 The tall shelving unit had joinery complexities in that it conceals the tracking mechanism for the sliding glass door which reduced the depth of the shelves. 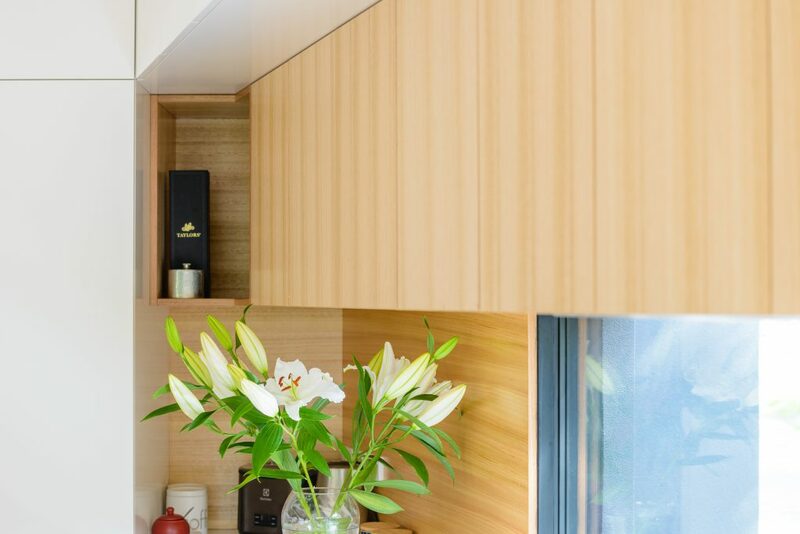 However, the clients requested that the unit accommodate wine storage that required deeper shelves. To achieve a custom-made high-end finish, the shelving unit was painted on site to minimise the visibility of the joins.